From Stockton, California, Saunders was considered a 3-star recruit by Rivals.com and accepted a scholarship from Fresno State. As a freshman, he recorded 27 receptions for 441 yards and 3 touchdowns; but he really blossomed during his sophomore year when he was named first-team All-WAC after he erupted for 50 receptions for 1,065 yards and 12 touchdowns. 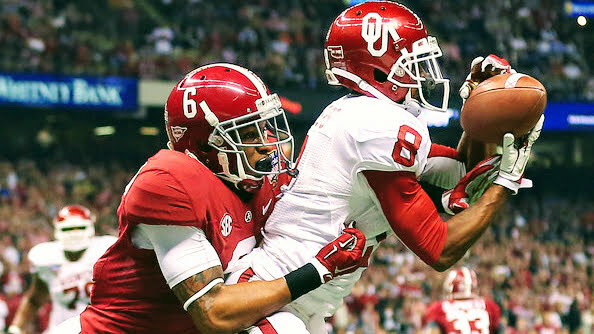 In 2012, Saunders transfered to the University of Oklahoma where he totaled 62 receptions for 829 ear and 3 touchdowns. His finest performance came against Notre Dame when he tied a school record for 15 catches and 181 yards. He put an exclamation point on his Sooner career when he recorded 5 catches for 75 yards and 2 touchdowns in their Sugar Bowl victory over the Alabama Crimson Tide. Saunder was drafted by the New York Jets in the 4th round of the 2014 NFL Draft. He also has stints with the Arizona Cardinals, Seattle Seahawks, New Orleans Saints, New England Patriots, an Chicago Bears. Saunders joined The Spring League in 2017 looking to recapture his former glory. Saunders strong performance at The Spring League earned him a contract with the Hamilton Tiger-Cats of the Canadian Football League, where he caught 76 catches for 1,170 yard and 4 touchdowns.